This month's Plug of the Month is the Dragonfly Wing (Pond) plug. These are translucent plugs topped with pink, green, purple and blue flashes of colour, and start at £6.49 per plug -- that's £1.50 off our online price, and and a stonking £3.51 off our offline price. Can't be bad, eh? 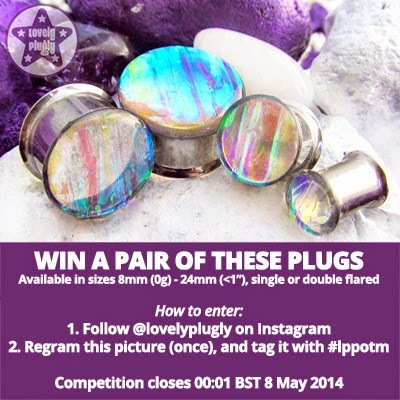 Only one entry will be accepted, so no need to spam your friends, and the competition closes 00:01 BST 8 May 2014.